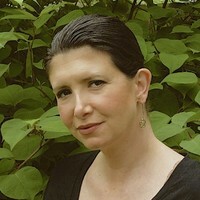 Davida Wexler is the Director of Marketing at JetRails. For over 20 years, she has been a strong advocate for building relationships and transforming partnerships into profitable opportunities. She brings her expertise to the team as an ambassador for the JetRails brand and is passionate about helping customers grow and drive Magento Success. At the end of the day, Davida believes ecommerce is about people not servers. The JetRails team had the opportunity to meet up with PayKings at this years IRCE Conference in Chicago. As a Managed Service Provider in the Magento hosting space, JetRails has first-hand knowledge of how difficult it can be for high-risk ecommerce merchants to acquire payment processing. Learn what the experts at PayKings had to say including tips on how to successfully navigate high-risk payment processing. Question: Which industries are considered high-risk and why? Answer: High-risk is a classification that is given to businesses by banks and lending institutions. It relates to the processing of debit cards, credit cards, and other forms of electronic payment which are mandatory in today’s business environment. Industries can be considered high-risk for various reasons. Here is a list of top factors that could cause a business to fall into a high-risk category. > Ecommerce businesses which by nature do not validate the identity of the customer and can have high levels of fraudulent activity. > Highly regulated verticals such as firearms, vape and alcohol vendors. > Industries that are “reputational risks” such as the adult entertainment and multi-level marketing models (MLM). > High ticket chargebacks such as travel bookings or business consulting. > Continuity or recurring billing models including subscription boxes, shopping & membership clubs. > Bad credit can also be a major factor; however, some payment processors, like PayKings, will work with businesses that have had previous credit issues. Question: How does falling into a high-risk industry impact your ability to acquire payment processing? Answer: Being deemed high-risk can drastically impact your business including processing rates, contract terms and potentially your ability to get credit processing at all. Many processors simply refuse to approve high-risk businesses for a merchant account. Unfortunately, there are also payment processing companies that specialize in high-risk who prey on merchants that are struggling to find fair payment processors to work with. Question: What should you do if you are high-risk and cannot get payment processing? A reliable payment processing company that specializes in high-risk industries will be able to qualify you for the correct type of account. For the best assistance, you will want to share the past history of your merchant accounts. 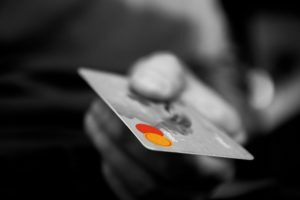 Using a less reputable payment processing company or not being transparent can lead to risks associated with the disruption of your business. There will be room down the road to renegotiate the terms of your rates and contract once you have a history with an accredited payment processing company. It is important that prior to negotiating you have adequate background to review. Working with the best payment processor is essential. Even though your business may be in a high risk industry, you still deserve outstanding customer service and support. You will want a partner who has exceptional experience and knowledge regarding the financial industry, compliance requirements and regulatory issues for merchants in high risk industries.